Talking to your team is important in moving your business forward. Workplace misunderstandings are surprisingly common and significantly counterproductive. There are many ways to prevent miscommunication within your company. Set up video and web conferencing. Use these advanced tools to check in on your team and business even when you're on the go. Video conferencing allows you to communicate with your staff in real-time even when you're working remotely. Similarly, web conferences let you exchange files and applications. Invest in fast and secure Internet connectivity. Your team will benefit from faster file-sharing, teleconferencing, telecommuting and other opportunities high-speed Internet connectivity allows. It’s easier to collaborate and move operations along when you and your staff can stay connected round the clock. Use a unified communications platform. The idea is to maximize productivity by consolidating various communication tools into a single, easy-to-use interface. A unified system allows you to manage emails or calls, monitor employee availability or presence, and control queues more easily. Hold regular meetings and training sessions. Not even the most advanced communication technology should replace face-to-face interaction completely. 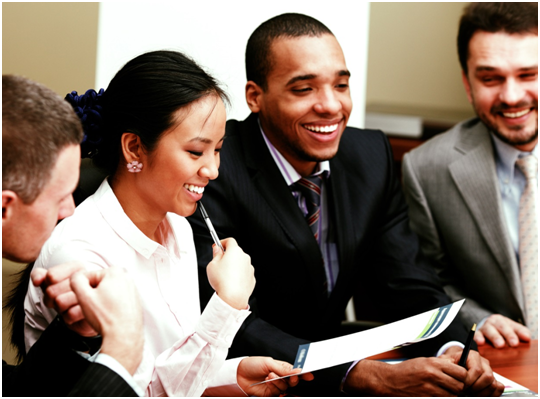 Conduct open meetings where your team can freely voice their insights, ideas and concerns. You may even be pleasantly surprised at the number of good ideas that can come from these sessions. Additionally, invest in quality training. It's the best way to communicate your business goals and hone your staff's skills at the same time. When you rent office space in Washington, DC, Maryland and Virginia from Metro Offices, you have access to Metro Connect, Voice over Internet Protocol (VoIP) service and our Unified Communications solutions. These services keep communication going within your business. With the all-inclusive package, you gain access to e-fax, email, telephone and voicemail services, among others. We also provide fast secure Internet connectivity to boost your team's productivity. Call us at (703) 871-5208 for more information on the Washington, DC virtual office solutions we offer. One of our experts will be available to assist you.